Hileman Silver Jewelry has many engagement ring designs that feature turquoise inlay accented by gemstones such as topaz and moissanite. By choosing the turquoise, the center gemstone, and the metal used for the mounting, you can customize your turquoise engagement ring to your tastes. Our engagement ring designs are all made to order in your specific ring size so you will need to allow 4 to 6 weeks for us to make your new ring. 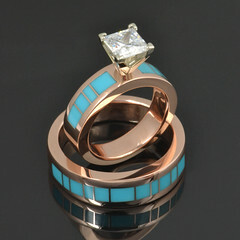 We offer quite a few turquoise engagement ring styles to choose from. 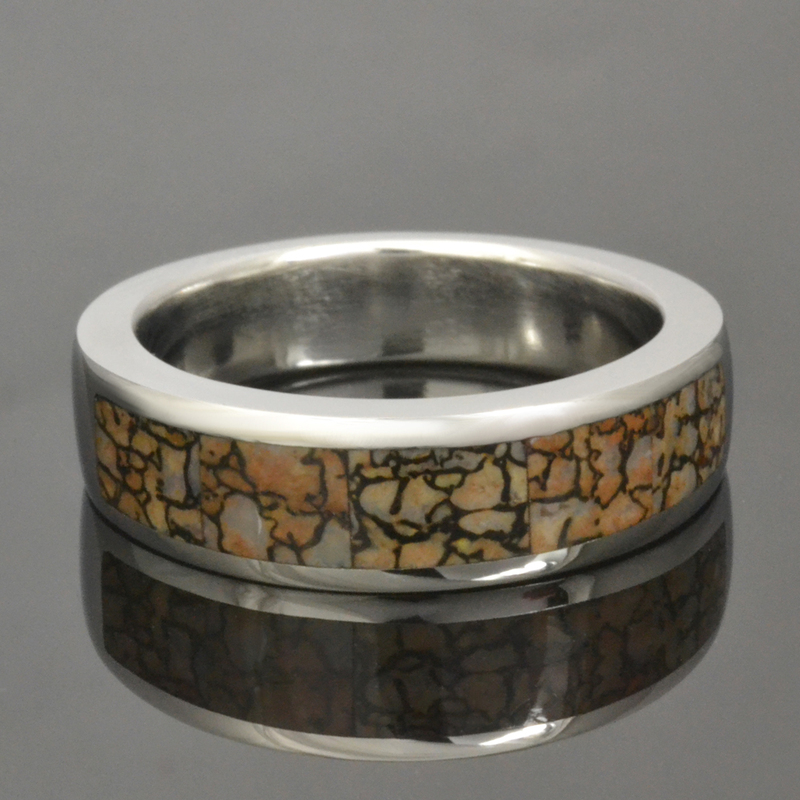 When browsing our website keep in mind that any of the rings you may see inlaid with other stones such as dinosaur bone or lab opal, can be inlaid with the turquoise of your choice. The same is true with the center gemstone. Just look for a ring shape and style that you like and think of it as a blank canvas to add the colors of your choice. Most of our engagement rings are labeled with a ring style number that will help you describe which ring you like and make sure we are on the same page. Birdseye turquoise rough from Kingman Arizona. turquoise is a natural stone, the colors and the spiderweb pattern will vary from stone to stone and even from cut to cut within the stone. This is important to understand when requesting a specific turquoise color or spiderweb pattern. We will always do our best meet your color and spiderweb pattern requests but nature may not always fully cooperate. Find one of our turquoise ring designs that has the turquoise you would like and we will let you know if it is available and will get to work on a price quote for your ring. Most of our engagement ring designs have center gemstones in a variety of shapes and sizes. In many cases the ring design is set up for a specific size and shape that cannot be changed without major wax customization or in some cases a whole new master carving. However, you can almost always change to a different color of gemstone or colorless option such as a diamond, moissanite or white sapphire in the same size and shape. 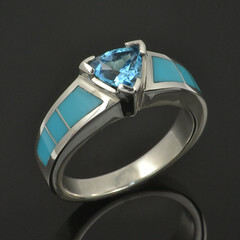 The most popular choice that looks great with turquoise is blue topaz. The topaz we use is available in several shades of blue with the lightest being sky blue, medium being Swiss blue, and the darkest being London blue. Many of our customers choose to be more traditional for their engagement ring and go with a white or colorless stone. We have options for white gemstones such as white topaz, white sapphire, moissanite and diamonds. We highly recommend moissanite because of its incredible scintillation, affordability and durability. Moissanite is almost as hard as a diamond and actually has a higher refractive index, which means more sparkle. It is a lab created stone so any concerns about mining or being conflict free are resolved. At a fraction of the cost of diamond, it is a great alternative that is budget friendly without compromising on beauty or durability. We offer metal options for just about any engagement ring budget. The most affordable metal option would be sterling silver. Sterling silver is the softest of the precious metals and can also tarnish. Sterling silver will hold up to daily wear if you are careful and remove your ring before any rough activities. We offer a new sterling silver called Continuum silver. It’s a relatively new silver alloy that is more durable than standard sterling silver and is also tarnish resistant. Continuum silver is approximately 30% harder than sterling silver and will provide a more secure setting for your center gemstone. We highly recommend upgrading to Continuum silver for all daily wear rings such as wedding and engagement rings. Other metal options include white or yellow gold, platinum and stainless steel. Stainless steel is also an affordable option and is very durable. Because 316L stainless steel is so hard, it is not available as an option for all of our ring designs. 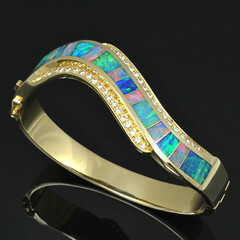 Some gemstones are not hard enough to be set in stainless steel without breaking them. Contact us with your ring style and stone choice and we will let you know if stainless steel is a possibility. White gold is our most popular choice. It’s durable and provides a secure setting for your gemstones. White gold and yellow gold are considerably more expensive than sterling silver so we will need your ring size to estimate the gold weight and give you an accurate price quote. Platinum is the heaviest of the precious metals and combined with the fact that most platinum alloys are 95% pure platinum, makes it by far the most expensive metal option for your turquoise engagement ring. Platinum provides a very secure setting and will hold up to daily wear and tear very well.